Migraine can be defined as a type of headache which can be causes because of the enlargement of blood vessels. It may affect your life’s quality badly. 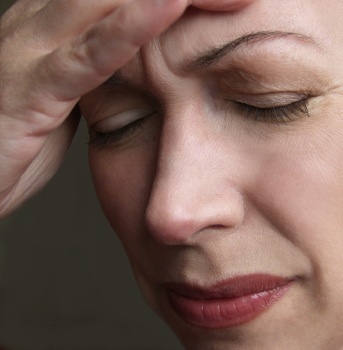 Migraine problem is mostly found in women in the age group of 10 to 40. It may be one sided headache. Migraine can be accomplished by vomiting, nausea, sensitivity to sound, sensitivity to light etc. Aged people never suffer from this headache. About 10-15% of the people in America are suffering from this problem. Migraine can be happened to anyone. There are so many factors for this. Some fo the major factors are discussed in nest paragraphs. Migraine can be caused because of some physical factors like sexual activity, physical exertion. Stress can also cause migraine. People getting stresses at work may get affected by migraine. Try to be cool and free of stress. Some foods can also cause migraine. Mostly alcohol, beer, chocolates, salty foods, skipping meals create problems of migraine. Women are mostly affected with migraine. The main cause for this is hormonal changes in women. Migraine can be happened to women during pregnancy and menopause. Migraine can be controlled easily without medications if it is in initial stage. It can be done by controlling eating habits. Try to avoid alcohol in excess, chocolates etc. Improving physical health also helps to overcome migraine problems. To improve physical health, you can go with exercises, stress reduction and rest. Try to give break to your mind from work. The final option is only medications. If you are suffering from migraine from long time then you can only treat it with the help of your doctor. Doctor can treat you according to your migraine stage and also according to your .